Now that Samsung's Galaxy Note 10.1 2014 Edition is no longer laughable because of its anachronistic gadget name, Verizon has decided to make it laughable with the carrier's standard enormously narcissistic branding. 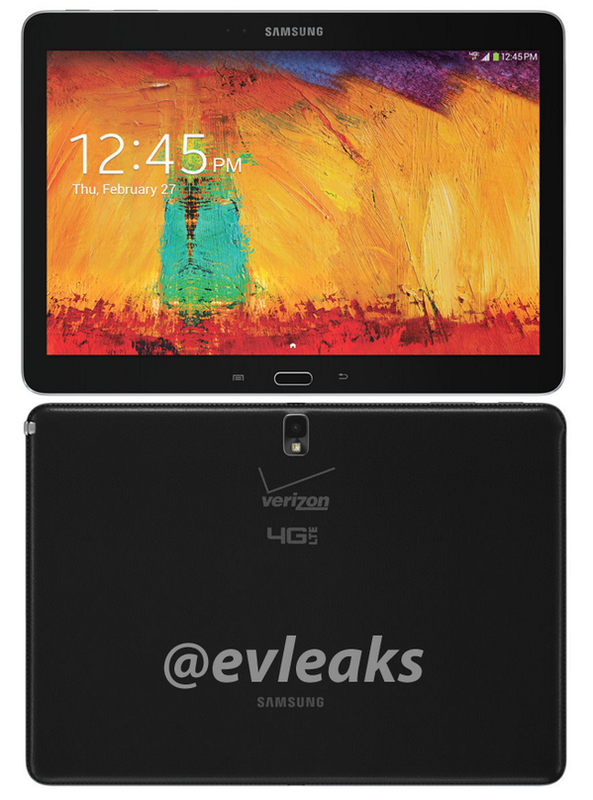 Go-to gadget leak guy Evleaks posted a press shot of the upcoming carrier version of the 10-inch tablet. It's not overly surprising that Verizon would want its own version of the new Note 10.1, since they offered the original model in an LTE flavor last year. Back then we marveled at Verizon's complete lack of care at its gigantic carrier logo, plastered on the back of the device like a primary NASCAR sponsor. The logo on the 2014 Edition in the above press shot isn't quite so obnoxious, but it still takes up about four times the space of logos on other hardware. At least there's no carrier logo on the front of the tablet (not even on Samsung's standard physical Home button), which counts as "tasteful restraint" by Big Red's standards. If Samsung follows its usual pattern for carrier-specific hardware, the LTE edition of the Note 10.1 2014 Edition will swap out the Exynos chipset for a comparable Qualcomm alternative and leave the rest of the device alone. At present there's no word on price or release date, but Evleaks' posts generally precede formal announcements by a few weeks. Expect this high-end device to be expensive - it will almost certainly be cheaper to buy the WiFi version and pair it with a tethered smartphone. You can see our review of the original 2014 Edition here.